CINDY VAN DER HEYDEN FOR COTTDS.COM is featured in NRC (national newspaper), ELLE MAGAZINE, GRAZIA, NEW YORK TIMES, ELLE GIRL MAGAZINE, COSMOPOLITAN SHOPPING MAGAZINE, NEW YORKER MAGAZINE, DE PERS NEWSPAPER to name a few. 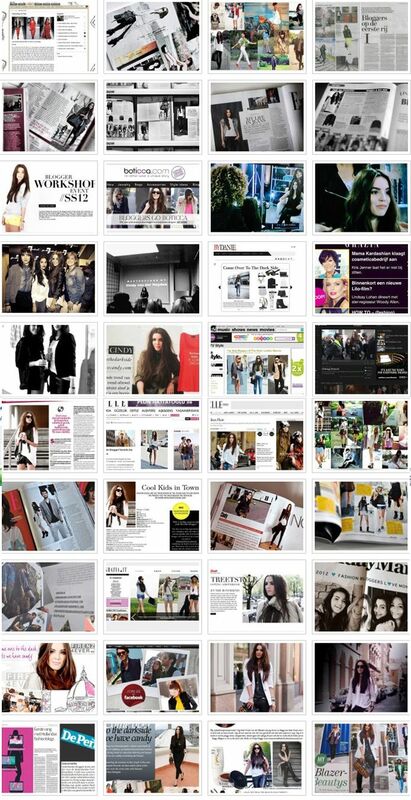 COTTDS also appeared on national TV (Net 5), RTL XL and gave a masterclass about blogging for GRAZIA. to read the articles click here. This blog definitely brings out my dark side! More so, my dramatic and bold side. Love how versatile your style is. OH MY GODDDDDD; I’ve just discovered your blog, and.. ohmygod it’s AMAZING !! I really love your style, and all of your looks. I hope that you’ll see my message because I want to give you my congratulations! Btw, you are beautiful, and natural, and that’s why you make the different between the other bloggers! Wow! Thank you so much, Juliette! ohh god!! i love your style and your blog!!! i love the drak side !!! I AM SO !! !